OMG!! 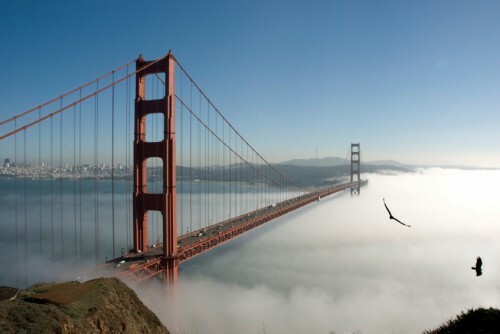 Insanely cheap one-way flights from USA: San Francisco, Los Angeles, Miami or Boston for €57! UPDATE 28.8.2017: WOW Air launched another incredible sale and you can now once again buy crazy cheap one-way flights from USA to Europe for only €57/$69! As you can see the cheapest dates are available mostly in September, but there are many more dates until November 2017. Return flights from Europe to USA are slightly more expensive but you can get return ticket for around €200. Hurry up and book your tickets now here or directly through WOW Air, this is the real deal! Check screenshot. Wow, the vision of super cheap flights to USA from Europe is becoming a reality today! Icelandic low cost airline WOW Air launched a new sale of tickets from USA to Europe for historically lowest price. One-way flights from USA to Europe are available for only €65 / $69! The US destinations on offer are San Francisco, Miami and Boston and you can fly to Copenhagen, London, Bristol, Berlin, Frankfurt, Stockholm or Edinburgh! These super cheap tickets are offered only on direction from the USA. If you want to book a classic return ticket, you will need a flight from Europe to USA as well. These flights are offered for also great price between $149 and $189 depending on the departure airport. This means you can get return ticket from Europe to for example San Francisco for only $220 / €207! Travel dates are great from February to June 2017 and from September to December 2017. There is 1 stopover in Reykjavik. Getting to your departure airport isn’t very complicated – you can either take Flixbus bus or book a cheap connecting flight from your city through Momondo. Please be aware that only small cabin bag up to 42 cm is included in this price. Classic 10 kg cabin luggage up to 55 cm is available for $50 per flight, check-in luggage starts at $70. For all cheap dates visit website of WOW Air. For booking use Momondo to get the lowest price. « OMG!! Crazy Error fare: New York, Toronto, Vancouver, Los Angeles, Havana, Mexico City from Europe for €79!